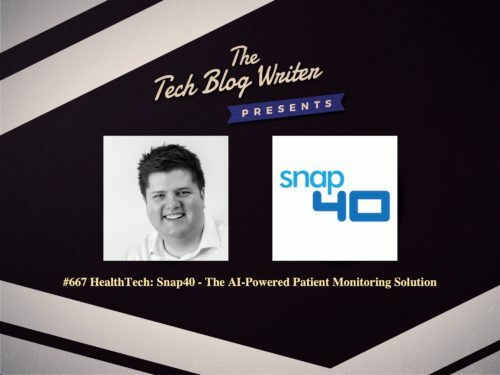 snap40 is an AI-enabled healthcare company with the mission to protect the health of every human being. The company recently announced that it has secured $8 million in seed financing led by ADV, with participation from MMC Ventures. This latest investment round takes them to $10 million, which is the largest seed financing round for a digital healthcare company in the UK. What makes it special? snap40 monitors the human body in real-time using its wearable device, with accuracy equivalent to ICU monitoring. Using this real-time data, the company’s proprietary algorithms identify those whose health is at risk and proactively bring healthcare to them. Initially, snap40 is deploying this with top healthcare providers in the U.K. and the U.S. The startup offers a complete, automated picture of human health. Using a wearable device, the company monitors individuals during and after hospital admissions, as well as for chronic health conditions and in clinical trials. According to initial clinical trials, snap40’s proprietary AI algorithms provide awareness of acute or chronic patient deterioration earlier than standard care. In addition, snap40’s continuous and automated approach provides insights to doctors and nurses about health behaviors that might go unnoticed in today’s healthcare environments, offering improved workflows, reduced stress and better systems of care for everyone. Christopher McCann, snap40 CEO, and co-founder said, “As a medical student, I witnessed patients live with a long-term disability or die as a result of late recognition of their deteriorating health. This is where technology can make a difference. It’s a moral imperative to use all of our knowledge in science and technology to improve healthcare. I invited Christopher McCann onto the show to learn more about how they are using AI to recognize illness earlier and enable earlier treatment that can save lives, and it can prepare our healthcare system for the future.